First-order saddle point represents an important landmark on the problem landscape. This point lies along the minimum energy path connecting two minima, more specifically at the point with maximum energy on the path. Unlike minima or maxima, to identify first-order saddle points require both maximization and minimization tasks. Finding such points is extremely difficult. In this paper, we present a real-coded memetic algorithm for locating first-order saddle points. The proposed algorithm leverage the advantage of valley- adaptive clearing scheme in maintaining multiple solutions and Schlegel algorithm in achieving fast and precise convergence. 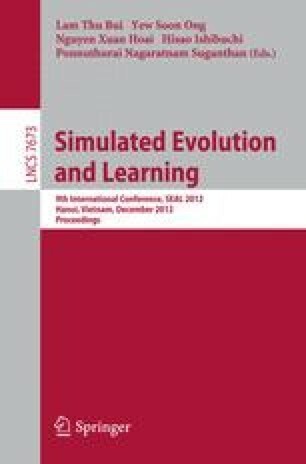 Empirical results shown that the proposed algorithms achieve more than 90% with converge speed of more than 100 fold when comparing to its evolutionary compeers.